Wheelight lighting designed by Greek talented designer Vasileios Roumeliotis for Roumelight. 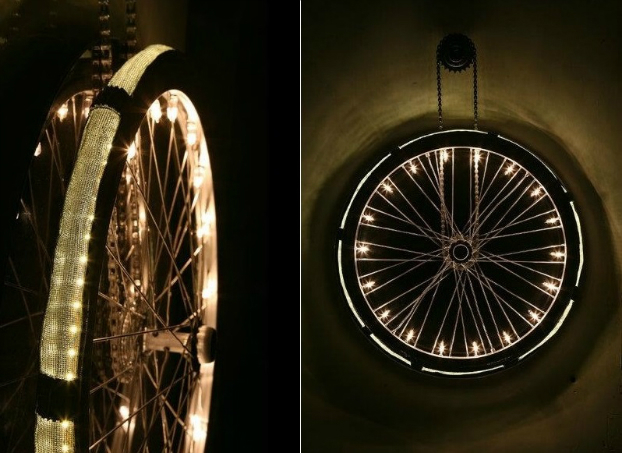 This lighted wheel is a wall light made from a recycled bicycle wheel reflected on a black glass surface which acts as a canvas, showcasing the play of light and shadow. 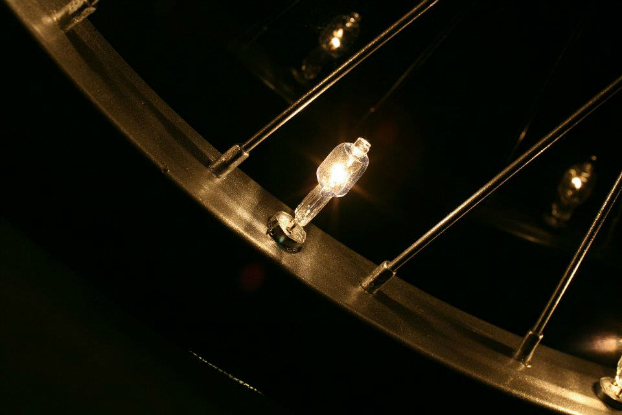 Wheel light illuminates either through a striking circle of 18 dimmable lamps (G4) or the hidden perimetric led tape that forms a bright ring for more romantic occasions. 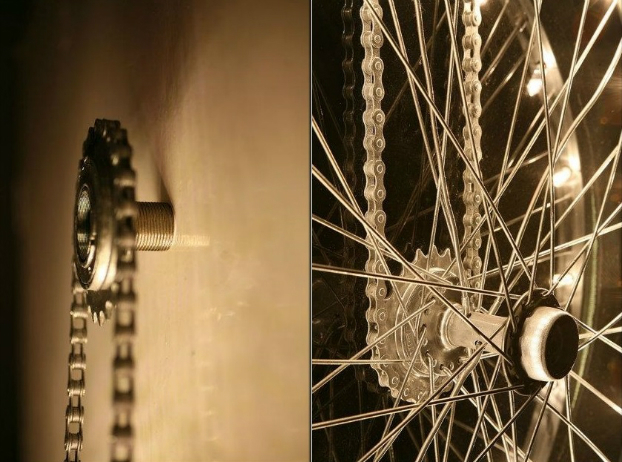 The lighted wheel represents an alternate ecol-sportive way of transportation and a positive enlightened forward movement full of inventive ideas and creativity. Influenced from architectural minimalism and industrial design my work aims to lighten familiar objects under a unique lighting concept. Main materials such as metal, wood and glass are combined with high quality electrical figuring to a fine result. Every creation conveys a message related with its shape use and artistic identity. 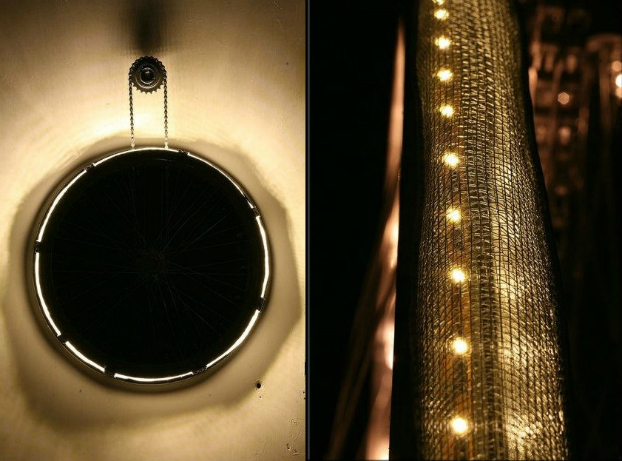 These unique lighting fixtures are not just lamps, but rather objects of thematic light art with is eco friendly design permitting the use of low consumption lamps such as LED technology and light tapes. The design and construction of lighting objects can also be adapted for more customable occasions embodying the identity of each place and the customer’s personal preferences for every installation. Favorite objects of the customer or distinctive items found in the surrounding space are converted into sources of light and are presented through a different “enlightened” perspective. All the conceptual lighting projects can either be used for main or decorative light purposes always intending to illuminate your senses …..beside your spaces.